Apple is scamming you with the 2018 MacBook Pro 15-inch. It's another Apple release, another controversy, this one we might as well dub Throttlegate. But go ahead, kick back, relax, because it's going to be interesting to say the least. So by now I'm sure you've seen the wave of videos hit the internet. Lock up your kids, because the Core i9 MacBook Pro is here. - Your Core i9 may throttle itself to the same performance as the 8750H, but hey, we gave you a Core i9, and doesn't your laptop look really pretty? - And it's thermal throttling down to 2.3, 2.9, 2.3, 2.9. That's insane! - This means that the throttling could be even more severe, and further close the gap between an i7 and an i9 MacBook Pro. There was one video in particular from Mr. Dave2D. He's a great friend, even better human being, and there was so much truth in that video, so many things I agree with, but the overall outcome of that video I think was a little skewed. So this is the point where a lot you out there are jumping out of your chairs, typing furiously into your keyboard, but before you do, hear me out because there is a lot to talk about. Before I go any further though, I wanna throw this out there. There's no arguments, I 100% agree, this MacBook Pro design is not taking full advantage of the chips inside this machine. But the thing is, most laptops, whether they're Mac or Windows, aren't either. Unless you have some giant five-, six-pound laptop that has a cooling chassis, which at that point you almost might as well bring a desktop around, it's just physics. When you have a processor with that many cores with that high of a clock speed, you're going to run into thermal problems. Beyond that though, I'm going into this as open-minded as possible, and if you guys wanna see a comparison with something like a Dell XPS 15 that also has a Core i9, drop a like and I will happily order one of those to compare. Now I think this is gonna end up being a multi-part series. In this first video, I'm gonna tackle the i9 versus the i7, and kinda address the issue of if the more expensive i9 6-core is actually slower than the cheaper 6-core i7, and spoiler alert, it's not. Before I jump into my test, just to quickly explain why I think Dave's video was a little skewed, is the main test he used was honestly the perfect recipe to completely cripple your computer. He took 5K RED RAW footage, which will eat your computer alive, brought that into Premiere Pro which isn't optimized to begin with, and then exported that into a 4K H.264 file. Now I think the best way I could paint a picture with that is this is your shiny new MacBook Pro, and this is RED RAW footage in Premiere Pro. There was an interesting article from John Poole, the creator of Geekbench, where he talks about applications like Premiere Pro using both the CPU and the GPU and if the GPU is starting to tax out and heat up, that could actually lead to bottlenecking of the CPU. Again, yes, the MacBook Pro could 100% use a better thermal design to take advantage of the power inside, but in this case, it's more of a story of Premiere Pro being terribly optimized that is leading towards more bottlenecking. Again, before you freak out, please please please, please watch this video thoroughly, I have spent the last two days testing, testing, testing, and more testing, trying to make this as diverse and open as possible, using everything from Lightroom to Premiere Pro to Final Cut Pro X, DaVinci Resolve, HandBrake transcoding into HEVC, then using everything from a Sony a7 III all the way up to an ARRI Alexa Mini. For this run of tests, again, these are both 6-core MacBook Pros, that is the most expensive i9 processor against the baseline 2.2 gigahertz i7. Both machines were plugged into power at all times, and then all projects and files were run off an external OWC ThunderBlade V4 SSD. Also, for the one guy that's gonna flip out and say, "That's not fair! "Why don't you run the projects off the internal "MacBook Pro SSDs, that would be the most even way to do it" but if you've ever dealt with large files, especially if you use a baseline MacBook Pro with 256 gigabytes of flash storage, that is nowhere near enough space to run all these files so this is the fairest possible way to do that. For the first run of tests, we are looking at Adobe Lightroom Classic CC, which is pretty much the go-to editing application for photos. For this particular test, I actually linked up with Mr. Tyler Stalman, he's a great photographer, super talented creator, and he actually hooked me up with 100 megapixel Hasselblad RAW photos, which is crazy. For the first test, I imported 50 of those photos and built a one-to-one preview, and the Core i9 MacBook was about a minute faster than the baseline MacBook Pro. From there I then took those 50 RAW photos, applied a creative look, and then exported those into JPEG, and again, the Core i9 MacBook Pro was about a minute faster. Now the general consensus or reaction to those results that I've seen on Twitter is, ooo, big deal, I saved a whole minute. Is that really worth $300 or $400? And to that, I say grab a dictionary and look up "extrapolation". Next up from there is Adobe Premiere Pro CC, and again, I wanted to make this as diverse as possible, because not only does the program matter, the camera as well as the codec plays a factor as well. First up, I took 4K ARRI Alexa Mini ProRes footage, dropped that into a 4K timeline, and then bounced that into a 4K H.264 file. In this case, the Core i9 MacBook Pro was about two minutes faster. And I think the big thing here is, the codec is super efficient. So if you shoot video, and you can shoot ProRes, it is much, much easier on your computer. From there, next up is 5K RED RAW footage, which is very similar to Dave2D's test. It's extremely, extremely taxing on the computer, so I 100%, no arguments, saw thermal throttling here, but what I did was take that 5K footage, drop it in a 4K timeline, and then export that into a 4K H.264 file. This test took forever, to the point where it pushed these MacBook Pros to its knees and, honestly, you could probably cook an egg on one of these machines. It got to the point where it was about 100 degrees Celsius, so Apple, in this case yeah there's no arguing, the MacBook Pro needs a better thermal solution. Surprisingly though, or, maybe unsurprising, the i9 MacBook Pro was again about two minutes faster than the baseline model. Next from there, I wanted to do a more common scenario, because I get it, not everyone's shooting RED or ARRI, so I took Sony a7 III footage, 4K, 100 megabits, and then dropped that into a 1080p timeline and then bounced that into a 1080p H.264 file. So once again, the i9 MacBook Pro was about two minutes faster than the baseline i7, which lines up in pretty much every test so far I've done in Premiere Pro, but where I saw the biggest difference between these two models is actually using Canon C200 RAW Light footage. Big shout out to Mondo Bytes for sending this footage over so I could really make this round of tests diverse. 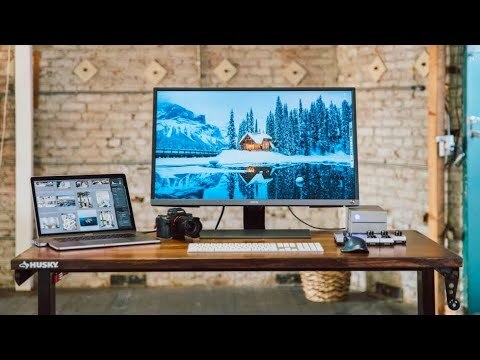 He actually did a really interesting video on his iMac Pro versus a decked-out, custom built PC, so I'll drop a link down below, and make sure you guys check that out. But yeah, with the i9 MacBook Pro, it was about 10 minutes faster than the baseline i7 model, which in this case, is a huge difference. Next from there, it was time to jump over to Final Cut Pro X and the theme you'll see with this is it is so much faster than Premiere Pro, it's not even funny at this point. I do want to state with these Final Cut Pro tests, I did leave background rendering off, so these timelines were completely unrendered as it exported because that's going to give us the truest representation of how these machines actually work. That also means if these timelines were rendered, the exports would be even faster, but as you'll see, even with background rendering off, the exports are crazy fast. So first up is that ARRI Alexa Mini 4K ProRes footage, pretty much an identical timeline to what I used in Premiere Pro, the only difference is in Final Cut Pro, with background rendering off, it still exported these in the two minute realm. Now, because ProRes is so efficient, you're not really needing a ton of processing power. So if you edit natively in ProRes and don't need to transcode, there might not be a huge reason to go to i9, but it's still faster nonetheless. Next from there I took that 5K RED RAW footage, about five minutes of that, and then exported that into ProRes 422. Again, much faster than Premiere Pro, but the big difference here is the i9 was actually about three minutes faster, which is more of a big deal. Next up from there is Sony a7 III footage, again, this is 4K 100 megabit, dropped into a 1080p timeline, and then exported into a 1080p H.264 file. Once again, the i9 is definitely faster than the baseline i7 MacBook Pro, but it depends how much you need that speed. So if you shoot a lot of a7 footage, and maybe that isn't super tempting to you, then I would honestly stay with the i7 because it's gonna perform great with tasks like that. Next from there in Final Cut Pro X, jumping back to the Canon C200 RAW Light footage, where we saw exports in Premiere Pro of 28 and 38 minutes, we saw export speeds of nine minutes and seven minutes on these MacBook Pros. Again here, the i9 is the faster machine, and for the most part that kinda seems to be going rate, about one-to-three minutes of performance difference. Obviously there are variables, maybe you're using ProRes, maybe you're working in 1080p, and in those instances where the performance isn't huge, that's where you gotta decide, is the i9 or the i7 better for me. Now yes, I use Final Cut Pro to edit every single one of my videos, the video you are watching right now is edited in Final Cut Pro X. I don't wanna turn this into a Final Cut versus Premiere war, but I think if you're editing on a Mac, at least give Final Cut Pro a shot, or, maybe even try DaVinci Resolve, because that is light years faster than Premiere Pro as well. In DaVinci Resolve, I took that Canon C200 RAW footage, exported that into an H.264 file, and it was honestly almost as fast as Final Cut Pro X, and again, miles faster than Premiere Pro so Adobe, you really need to step up the performance. Next from there, using HandBrake, I took an MKV Blu-ray rip of Guardians of the Galaxy, and then transcoded that into H.264 and once again, the i9 MacBook Pro was about two minutes faster. From there, I took a 22 minute, 4K H.264 file, and then transcoded that in Compressor to 4K HEVC. In this case, the i9 MacBook Pro was a little over a minute faster, so it's not a huge difference, but where I'm willing to bet the bigger difference is is jumping from 6-core to last year's quad-core, and that'll definitely be next up in the testing. So, that has been quite the mouthful, my brain is just about melted. You see in certain cases where the i9 actually makes sense, and certain cases it doesn't, but hopefully you found this video helpful. There is more testing to be done though, last year's model, the 13-inch MacBook Pros, if you haven't yet, make sure you subscribe, turn on that bell so you don't miss those videos. Huge shout out to dbrand for supplying that beautiful skin, maybe you don't want to upgrade your MacBook, but you want to upgrade the looks, it is the cheapest, easiest, sexiest way to do that.